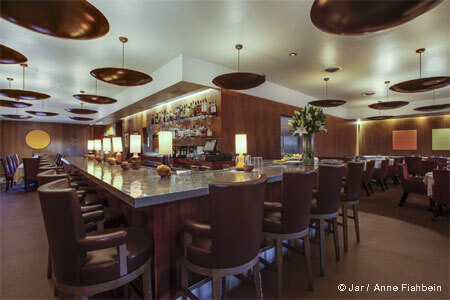 Modern and casual Korean bistro located in Beverly Hills. 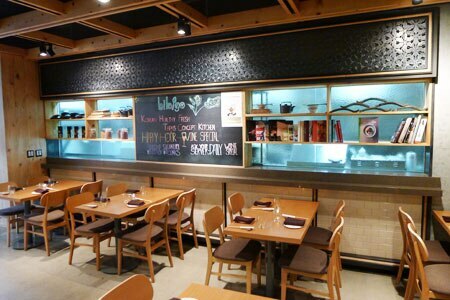 : bibigo is a successful chain that puts a modern twist on traditional Korean dishes. A clear and concise menu makes it simple for diners to step out of their comfort zone and try something different. Choose between the shareable, unique plates and the rice and noodle dishes. Standouts include "crispy mandoo crust," which consists of steamed mini wontons under crispy potato and a chili soy baby leaf salad; spicy pork rib; and the bibimbap served in a "hot stone" bowl with bulgogi (seasoned beef), brown rice, spicy Korean pepper sauce, blanched bean sprouts, kale, broccoli, mushrooms and onions, topped with a fried egg. A full bar includes a cocktail list with original libations, like the Korea-a-Pear, made with soju, gin, elderflower liqueur, fresh lemon juice and Nashi pear. Korean liquor, beer and wine are also available. Fast-casual locations are at 1091 Broxton Ave., Westwood, 310-824-0011; and 10252 Santa Monica Blvd., Century City, 310-557-0011.